Stone building in the middle plaza. 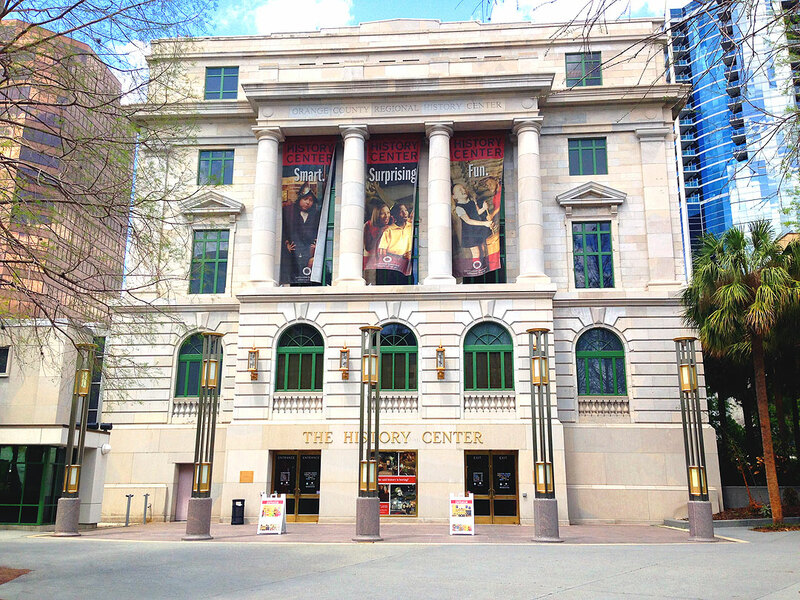 Orange County History Center encompasses five stories of Central Florida history. 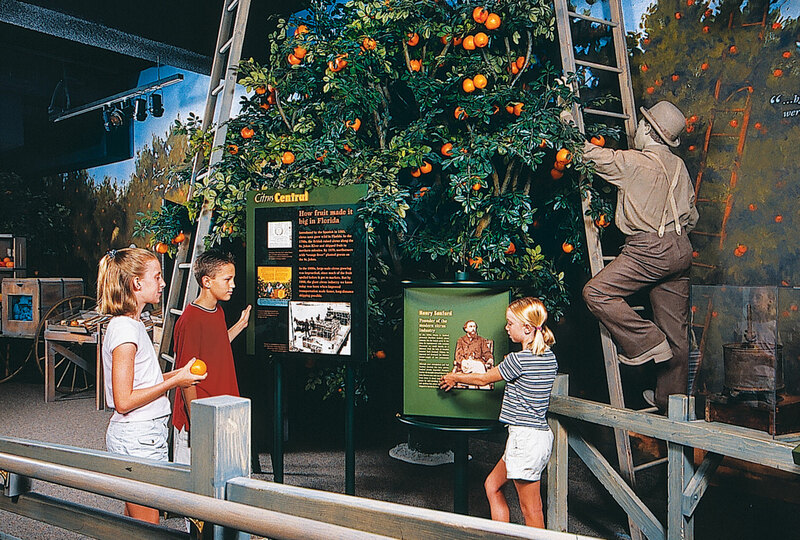 With an ever-changing array of exhibits and plenty of programs for the whole family, Orange County Regional History Center is sure to satisfy those with a passion for the past. Built in 1927, the old Orange County Courthouse provides a perfect historical backdrop for the museum collections. 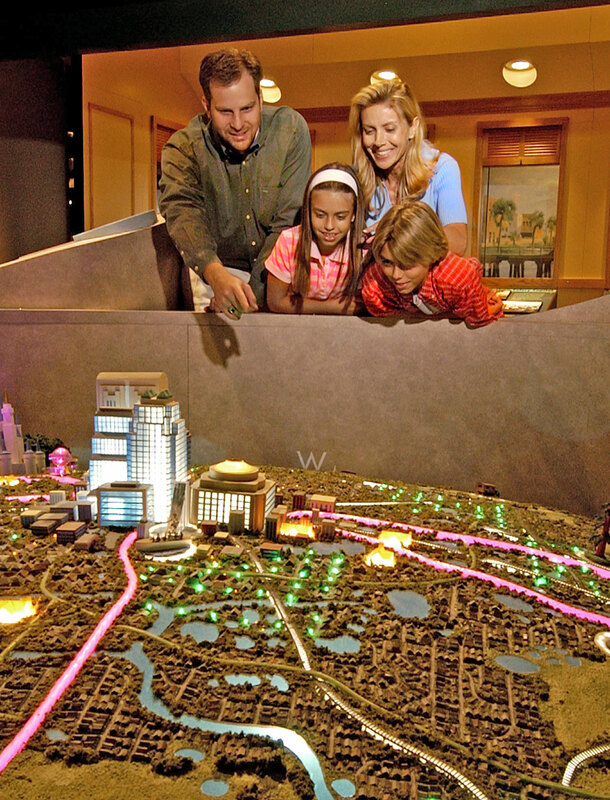 The History Center holds traveled exhibits of national recgonition, as well as permanant displays of Florida History including information about the area's flora and fauna, the history of Walt Disney World, and Black history of Central Florida. The museum store has an assortment of educational materials and souvenirs for visitors. The History Center pays host to incredible speakers, so check out their upcoming lectures. Birthday parties and camp programs are available to children, and plenty of community events and socials for adults. Space is also available to rent for weddings and receptions, as well as other formal dinners. The Orange County Regional History Center is located on Central Boulevard between North Court and Magnolia.